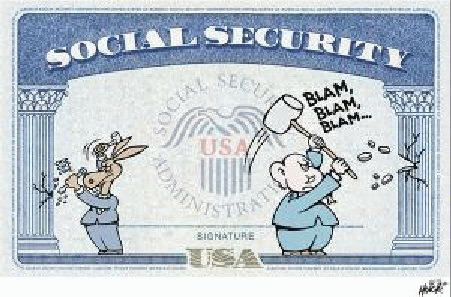 Social Security got short shrift in the presidential "debates" this year, meriting only a brief mention at the end of the third event, and even then, only by Hillary Clinton, who vowed not to cut benefits in any effort to bolster the system's funding (a promise she was only grudgingly pushed into by Sen. Bernie Sanders' primary campaign). But the truth is that benefits have been getting cut, are being cut in 2017, and unless something is done, will continue to be cut in the future. This is because the method used to calculate the annual adjustment for inflation each year is, to borrow a phrase popular with Donald Trump, "rigged." Just consider this. The Consumer Price Index or CPI, actually the CPI-U version of the index which is used by nearly all federal agencies, including the IRS (which uses it to recalibrate tax brackets each year), found inflation in the US running at 0.73% in 2015, and at 2.07% year-to-date through September 2016 (it was 1.46% for the 12-month period Oct. 2015 through Sept. 2016, suggesting that the rate has been actuallly accelerating through the latter part of this year. Yet the modified version of the CPI, called CPI-W, which Congress since 1983 has mandated that the Social Security Administration use to calculate cost-of-living adjustments in Social Security benefits, showed no inflation in 2015, and only 0.3% inflation for 2016. That's why Social Security beneficiaries -- the elderly, the disabled and dependent children of Social Security beneficiaries -- received no increase in their benefits during 2016 over the prior year, and why their benefit checks in 2017 will only increase by a paltry 0.3% (That would be an extra $4.50 a month or $54 for the year for someone receiving a typical Social Security benefit check of $1500 per month! ).